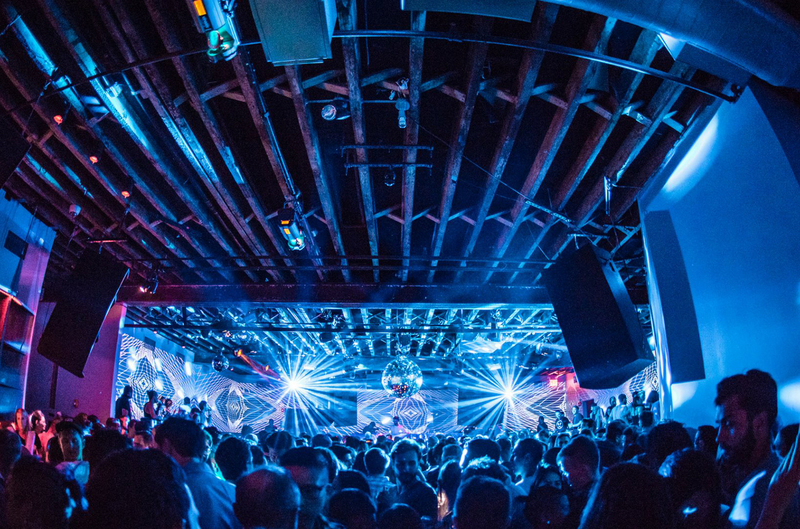 This weekend’s antics included a harmonic night at Brooklyn’s Schimanski nightclub for an evening of good-spirited dancing and blood-pumping jams. Hosted by Spinnin’ Records, the Spinnin’ Sessions event had a smashing turnout and a club full of elated partiers in the mood for some dance-worthy tunes. This was slated to be a party like no other as it was the first ever club show that Spinnin’ Sessions has delivered overseas to the U.S. We knew it would be a night to remember, backed by a deep and groovy lineup consisting of EDX, David Tort, and Carta. As Spinnin’ Sessions continues to deliver brilliant and explosive lineups to dance fans across the globe, it was no surprise that from start to finish the music was blaring, lights were flashing, and good vibes were circling around the crowd. Au/Ra’s “Panic Room,” which has become one of the most widespread crowd-pleasers at this time, cranked things up a notch with its banging beats and catchy lyrics. EDX also captivated listeners with versions of Port Robinson’s ever-popular “Language,” Alesso’s magical “City of Dreams,” Chris Lake & Green Velvet’s deep and rhythmic “Deceiver,” Avicii and Nicky Romero’s energetic “I Could Be The One,” Fisher’s Summer sensation “Losing It,” and Danny Tenaglia’s anthemic “Music Is The Answer” among so many others. EDX recently celebrated the 400th episode of his weekly broadcast, No Xcuses, amidst the annual Amsterdam Dance Event. Along with the major achievement was a melodious rework of David Guetta and Anne-Marie’s “Don’t Leave Me Alone.” His Indian Summer Remix takes the already-catchy track and spins it into a deep symphonic tune that is immediately soul-striking. It’s safe to say it has been a prolific year so far for the Italian and Swiss legend, who shows no signs of slowing his roll any time soon. As Friday night at Schimanski proved to be a shattering success, we’re sure there will be more in store from Spinnin’ Sessions across U.S. cities soon to come. Keep up with the latest and upcoming sessions from Spinnin’ Records right here. We hope to see you out on the dancefloor with us next time!